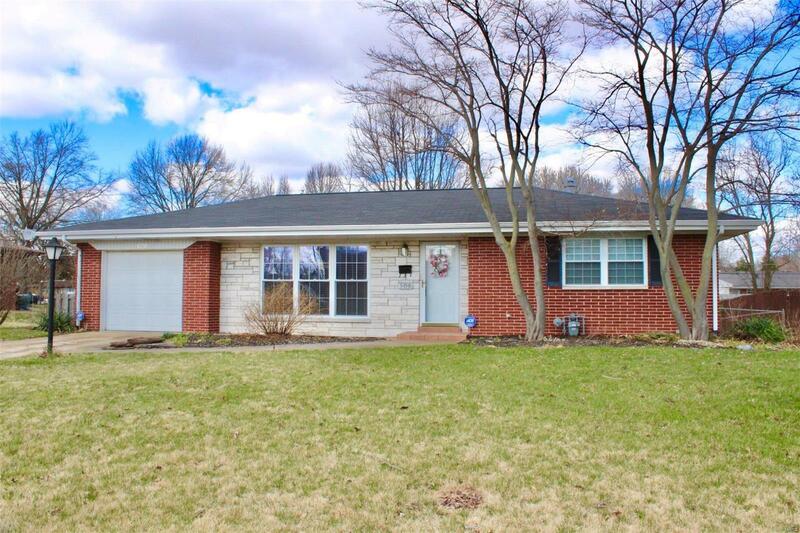 An adorable ranch home sitting in the Country Club Heights Add 05 of the Ogles Neighborhood. Entering into the spacious living room w/plenty of natural lighting, to the right is the dining room w/chandelier hanging below a lovely medallion. The kitchen has a unique style with tile back splash, ceramic floors, mobile island, ceiling fan & appliances stay. The hall hosts the full bathroom for the main floor as well as a linen closet and coat closet. The 1st bedroom w/wood laminate flooring, ceiling fan & large closet w/mirrored doors. The 2nd bedroom is at the front of the house w/carpeted floors, ceiling fan & large closet w/mirrored doors. The 11x6 breezway leads to a 1 car attached garage, an 11x12 3 season room w/electricity, plenty of windows & ceiling fan. The basement is waiting for your final touches for flooring, but host a huge family room, office w/shelves & closet area, as well as a 3/4 bath w/shower only & an unfinished utility room w/ 3 closets & additional storage area.